Please note that payments can be made via bank transfer or credit card. If you pay by creditcard the 2% bank fee will be charged to the total price. Bank transfer fees are the expenses of the sender. Participants of the World Fencing Championship are requested to pre-pay deposit, that is 40% of all ordered services. You can pay the deposit via bank transfer or credit card upon booking against our confirmation and pro- forma invoice, which will be sent to you on the day of booking or on the following working day. In order to fix and keep your booking we need 40 % deposit within 15 days of booking otherwise our online booking system will cancel your reservation automatically. If your payment is initiated within 15 days from booking then your reservation will be saved, fixed and confirmed. 35 days before arrival date our final invoice will be issued and payment must initiated within 5 days. The billing address must be specified upon booking. If you do not reserve accommodation in the recommended hotels there will be no official transport to the Championship venue. 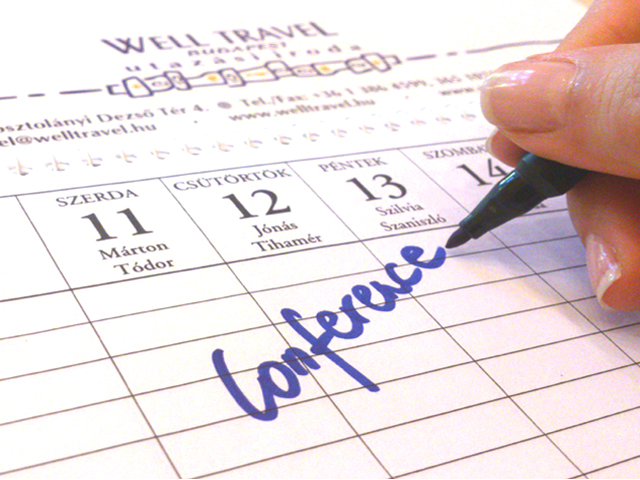 If you would like to modify your reservation or add additional nights or additional room(s) to your reservation you may do it using your reservation number in our online booking website: welltravel.hu/booking. You can access your reservation with your booking number and you may change names, rooms, meal-, and airport transfer details. Changes and added nights or rooms will be booked and confirmed immediately.They will be invoiced together with the remaining cost if this amount is not more than 10% of the reserved rooms’ price, or not more than 5 rooms. Otherwise it will be considered as a new reservation.You have to make a new reservation to book the extra 5 or more rooms and you will also receive one new reservation number to the added rooms. Rooms and reservations can be cancelled free of charge 60 days prior to arrival. After the deadline (35 days before arrival) you can only change the names and flight details in your reservation, using your booking number in our online booking website: welltravel.hu/booking. For cancellations occurring before 60 days or more before arrivale there is no cancellation fee. After this date the hotel allocation and price cannot be guaranteed. For cancellations occurring 60-45 days prior to scheduled arrival, the 20% of the rooms which belong to one reservation number can be cancelled once free of charge. During this period, in case of cancellation of all rooms under the same reservation number , the cancellation fee is the 50% of the deposit, that has been paid in advance. For cancellations occurring 45- 35 days prior to scheduled arrival, the 10 % of the rooms which belong to one reservation number can be cancelled once for free of charge. During this period, in case of cancellation of all rooms under the same reservation number , the cancellation fee equals with the 40% deposit that has been paid in advance. Cancellations made within 35 days of scheduled arrival are subject to no refund. Please note, if cancelled or in case of no show the total price of the reservation will be charged. With sending your reservation form you declare that you have read and understood the booking terms and conditions and agree to accept the terms and conditions. 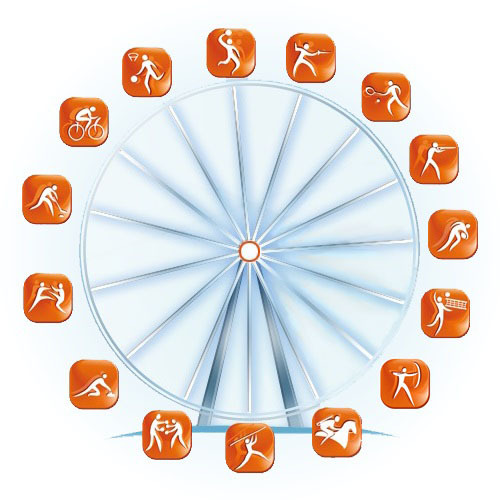 After choosing the sport event on the main page you will find the official hotels, all of them with a short description, photo, distance from the venue and room prices - which guide you to choose the best accomodation during the Sport event. If you click on the preferred hotel, you will see the availability and will be able to choose and reserve the needed rooms. You are able to make reservation not only for 1 person, but for your whole team if you wish, because the number of the bookable rooms depends on the availibilty of the chosen hotel. The reservation you make is always changeable and you can even cancel it for free of charge according to our Payment and cancellation policy which information can be found under the Rooming List field at the booking system. I case of „early booking” or if the name list of your team is not finished yet, you can write just simple provisory names into the name field, for example: Coach, Sportman 1, Sportman 2… etc. because you will be able to update your rooming list later with the correct names. We arrange airport transfer for special price without any waiting time at the Airport upon arrival, which means we pick you up exactly when you arrive. This is the reason we ask you to fill out the flight details field accurately. It does not matter that 1 person or a big group arrives, our drivers pick up 1-3 person by car or groups by coaches with the sign under the team’s name and nationality. We kindly ask you to fill out the „Transfers” field precisely in order to ensure you perfect service. You are kindly requested to mark the payment method: bank transfer or credit card with details, as this is an imoprtant information for us to prepare your proforma invoice wich will be sent to you in a few days from your reservation was made. Please fill the „billing details and contact person” field carefully to ensure that we will be able to reach you and make your invoices correctly. Thank you! It is our pleasure to help you to find the best flight ticket, if you would like to get our best offer, please fill the „flight ticket request” on the second page of your booking. We offer the room prices mostly with breakfast. In case of the accommodation does not offer breakfast (or there are different type of breakfasts) you will be informed precisely about possibilities and prices on the fourth page of the booking, at the „Meals” field . We offer the same for lunch and dinner bookings by the chosen accomodation. You can finalize your booking by clicking on the green FINISH button on the last page of the reservation,which will be appear after accepting the Terms and Conditions by putting a tick in the box. You will receive an automatic e-mail confirmation with your booking code to the e-mail address you provided in the „billing details and contact person”. Please keep this e-mail, as you will need this booking code to enter to your reservation later, if any change is needed. In case of any more question please do not hesiate to contact Ms Brigitta BAKONDI at booking@welltravel.hu or at +36 20 333 25 22. Please note, that credit card guarantee is required! The cancellation policy applies to the cash payers as well! Please be informed, we have to charge your credit card in Hungarian forint according to the current Hungarian law. Our system will calculate for you the total amount also in Hungarian forint automatically. Please note that +2,5% bank fee applies in case of paying by credit card. After we received your reservation, we will send you the proforma invoice together with the Authorization Form. Please fill and send us back the Authorization Form to let us charge your card. After we received the filled Authorization Form your credit card will be charged and the receipt of the payment will be sent to you. Please note, that the Authorization form is also available in the Downloads menu! If you would like to pay via bank transfer we kindly ask you to indicate your booking code as a remark. Thank you! Payment have to be made according to our proforma invoice. Please note that 5 EUR surcharge applies in case of bank transfers!